Having worked in a pediatric hospital, where I worked 12-hour shifts in the middle of the night, I know how intense, stressful, and exhausting it can be to work in a clinical environment. Throw in being away from your family, long commutes, and dealing with heartbreaking illnesses and cases — and it's enough to burn anyone out. Luckily, technology has enabled more and more people to do their jobs from home, and that includes pharmacists. If you're looking for a telepharmacy job, or you'd like to leave the clinical environment behind altogether, we have lots of great work-at-home jobs for pharmacists. What Jobs Can Pharmacists Do From Home? If you still enjoy the clinical side of being a pharmacist but want to have more free time with your family, here are some typical jobs and companies that regularly hire pharmacists for remote positions. Patient care companies like Parallon offer flexible remote pharmacist jobs. To serve as a work-at-home COE pharmacist, you must have at least one full year of hospital experience. A background working with MEDITECH software is a plus. COE Pharmacists enter orders into an online database, track and oversee prescriptions, evaluate patient care plans, and then provide any necessary recommendations for the patient. The role of an ROE pharmacist is very similar to that of a COE Pharmacist. They use an online system to enter and verify prescription orders while monitoring treatment plans for all patients to ensure there are no errors in dosage or medication recommendations. ROE pharmacists are also available day and night to speak with patients on the phone and answer any medical questions. Telepharmacy is defined by PipelineRX as “pharmacy practicing from a remote location utilizing technology such as computers and video screens to communicate.” These telecommuting pharmacists manage, transfer, and analyze prescription orders, review dosage instructions and provide virtual patient care services. Screening and verification pharmacists are responsible for examining and reviewing all prescription orders to verify they are accurate and most importantly, safe for the patient’s needs. They spend a lot of time researching any type of possible drug interactions or allergy concerns while analyzing the dosage instructions for the medication prescribed. Medical professionals who are analytical and have experience working in medical databases with electronic patient records would be excellent QA Specialists. The role of a QA Specialist involves checking various medical records and forms of documentation for accuracy while also reviewing examination reports to verify all the necessary information has been filled out. The specialist also spends time consulting with physicians and healthcare providers on recommendations they have for a patient. Medical software companies like eBroselow offer work-at-home career opportunities for RN’s with at least five years of emergency room/pediatric nursing experience or PharmD’s with at least five years of inpatient hospital experience. This commission-based position is ideal for anyone looking to create their own schedule and choose their own hours. In this role, you will act as a representative for eBroselow’s product, SafeDose. Visiting hospitals, pharmacies, and emergency rooms will be a weekly task. Responsibilities include setting and achieving goals for business growth, product demonstration, tracking all sales activity and more. For pharmacists who wish to leave the clinical environment behind, there are several other options available. 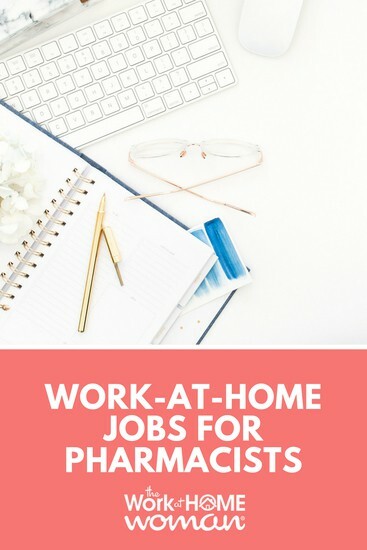 Here’s a list of non-clinical work-at-home jobs for pharmacists who are interested in exploring a new path. Online sites like BrainMass allow academic experts in their field to contribute their knowledge through a variety of mediums. Students can then access this information based on their specific needs, questions, and assignments. As a pharmacist, you can create information and help tutor students in a wide variety of pharmacy-related subjects. Academic experts earn 60 – 70 percent of the credit value and payments are made via PayPal or check. Direct sales might seem like uncharted territory for a pharmaceutical professional, but there are several health, fitness, diet, and beauty companies that would appreciate a direct sales consultant with experience in the healthcare field. Direct selling gives you the chance to utilize your professional skills while selling products you're passionate about. Best of all, direct selling allows you to call the shots, you decide how many hours to work and when. Take the time to reflect on your career, experiences, and skills. Was there ever a time you saw a need for something new and innovative? It’s not a well-known fact (at least I didn't know this before writing this post) that pharmacists were the ones who invented soda. John Pemberton was the pharmacist known for inventing Coca-Cola. Caleb Bradham was the pharmacist that created Pepsi, and Charles Alderton was the pharmacist who invented Dr. Pepper. How can you take your pharmacology knowledge and spin it into a product that you can sell from home? Although she still works as a pharmacist part-time, my friend Sam has a blog, Style of Sam, where she dishes out doses of fashion advice. The great thing about blogging is you can write about anything, it has a low startup cost, and it's completely flexible. So whether you want to start a blog as a way to express your creativity, or you want it to become your full-time career either is doable. If you're interested in blogging, I have a simple step-by-step tutorial here to get you on your way. 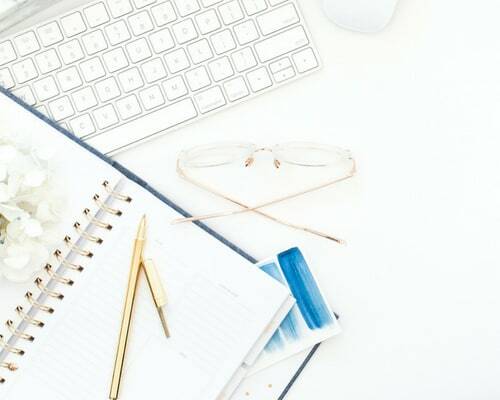 And if you're wondering how bloggers earn money, be sure to grab a free copy of my blogging e-book where I share all my traffic and money making secrets! You’ve learned a lot over the span of your career, why not write a book and share all your knowledge with the world? After being diagnosed with Hashimoto’s Disease, pharmacist Dr. Izabella Wentz decided to share her story with others through her book, Hashimoto's Protocol: A 90-Day Plan for Reversing Thyroid Symptoms and Getting Your Life Back. She was able to use her experience in the medical field to write an informative book on how to cope with this disease and it became extremely popular. Sometimes taking the first step is all it takes to create your dream career. At least, that's how it happened for Alex Barker, The Happy PharmD. Alex was working as a pharmacy resident but was completely miserable on his career path. He had tried his hand at some side hustles but was having a difficult time making any progress. He then decided to hire a coach and he finally started making some major strides. Today, Alex works from home as a career coach helping other pharmacists find their true career calling. If you have good listening skills, an empathetic soul, and great communication skills, coaching may be your work-at-home calling. You can check out this article for more details on becoming a coach. There are many opportunities to work from home in the pharmaceutical field. You can go the traditional route and find jobs where you can utilize your current pharmaceutical knowledge and skills. Alternatively, you can think outside the box and look for non-clinical opportunities, but still tap into your experience and expertise. Either way, there are a lot of great work-at-home jobs for pharmacists to pursue. Hi zartab here: I wanna do this job and I have interest In reviewing drug interactions. I need help and guidelines to start this job. I recently did my pharm d from Pakistan Islamabad. In September 2018. Thanks. Plus help me to find job related non clinical or QA. I am a pharmacist and a mom of a toddler. Hi, I am interested to do non-clinical work from home in the pharmacy field. I am a pharmacy graduate. To be honest with you, if I had to do it all over again and work a traditional day job whereas I had no knowledge about the online side hustle in affiliate marketing, blogging, content marketing and making money online 24 hours a day, I would do the QA job. I like working with peace and tranquility and dealing less with people in a face to face interaction. I have lots of previous corporate and banking experience and dealing with people up close and personal Robin Leach style plus dealing with customer on the phone. The work at home stuff is surely for me because I don’t have tolerance for a regular job anymore. I’d rather be a hermit and work in my home office.